Is Ayahuasca Right for Me? Can I Die from Ayahuasca? Sitting in silence, with a quiet mind, invites God to speak to you in your heart. 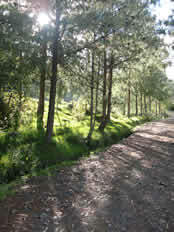 For the most up to date information, visit our new website, gaiasagrada.com. 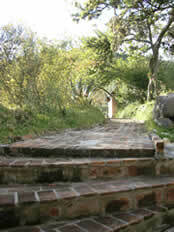 We can accommodate your workshop or retreat at Gaia Sagrada on weekends, from Friday evening to Sunday afternoon. If you are interested in reserving space on our calendar, Contact Us. Name the dates you are interested in, first choice and second choice, what your retreat is about, who is facilitating it, and how many people you would like to reserve for. See weekend rates for housing; you receive a 20% discount off those prices. For instance, dormitory housing is $67 for the weekend (2 nights, 3 days). You receive that housing for $53.60 (20% off $67 is minus $13.40). You get the 20% for taking care of booking your people in their rooms (we give you charts) and registration of your guests upon arrival. 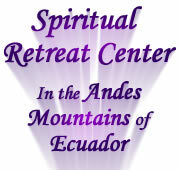 What extra you charge for your retreat is yours and you don't have to pay us any of that. For the 20% you keep, you take care of booking of your group, processing payments, and filling in charts of the housing arrangements. Before you arrive, you pay in full for your participants and give us your charts for housing. All meals are included in room fees. If your group has a special diet, please let us know if it is more specific than a vegetarian diet. We could create an entirely vegan diet or an entirely raw diet for your group, but we do not cook meat for any reason. Only vegetarian, vegan and raw food diets can be accommodated. We do not have discounts if you want to bring your own caterer and food, as this is included in our prices. Facilities for your meetings are $45 per day, $90 per weekend if you start Saturday morning and end Sunday afternoon. If you would like to start Friday evening, the meeting area only costs $25 more for a Friday evening meeting. The PA system rental is $35 per day without a technician, although it will be set up for you at the beginning. This includes 2 microphones. A technician is a negotiable price and we will put you in touch with quality technicians who can manage your sessions. You must work out a separate price with the technicians for their services. All outdoor areas are available to use as you like, but schedule your meeting spaces with us so we know where your group is meeting at all times during your stay here. We would like to make sure we don’t plan noisy activities nearby. We can let our workers know they should steer clear of that area during that time. This is included with the $45 per day hall rental fee. 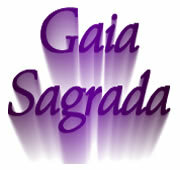 Gaia Sagrada is a spiritual sanctuary, a paradise in nature, and a place to truly embrace the beauty of being.